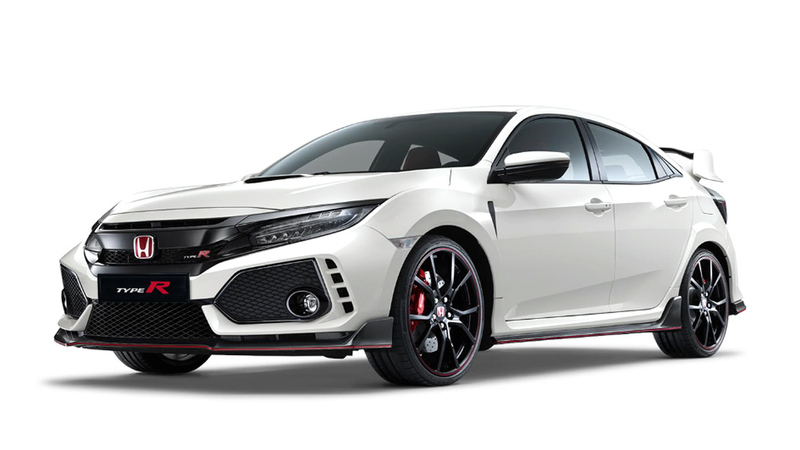 This is the latest version of Honda's legendary Civic Type-R, the Japanese brand's ultimate high-performance hot hatch. Based on the 5-door version of the all-new Civic, the Type-R was developed to be one of the fastest and sharpest handling front-drive hatchbacks one can buy today. Under its vented hood is a 2.0-liter VTEC Turbo inline-4 gasoline engine which produces an amazing 306hp and 400Nm of torque, it's paired to a 6-speed manual transmission with Rev-Match Control System​. This hot hatch can lap Nurburgring Nordschleife in only 7 minutes and 43:8 seconds, this makes it the quickest front-wheel drive car to lap the legendary race track.